Orange County Register has announced that they will be moving their headquarters to Anaheim by March 2017. The business and newsroom staff of the Register will be transferring to the Axis, a creative office redevelopment, found near Angel Stadium at 2190 Towne Centre Place. The newspaper publishing company had been operating out of Santa Ana for 111 years. The publisher, Ron Hasse, has Tweeted about their intentions. Onward and forward for The Register – Orange County Register moving headquarters from Santa Ana to Anaheim in 2017. Currently, the Register is headquartered at 625 N. Grand Avenue in Santa Ana. The building that they operate out of is owned by Mike Harrah, one of the biggest developers in Orange County. Looking at the major real estate developers in Orange County, Mike Harrah certainly stands out—and not just because of he’s 6’6 and weighs 275 lbs. While Mike Harrah’s appearance may not conjure up expectations of a CEO and real estate developer, he’s responsible for the construction of some of Orange County’s most stunning structures and the preservation of some of her greatest architectural gems. His development of Lake Havasu City continues to draw tourists from around the world and the preservation of the Performing Arts and Events Center in Santa Ana, California cemented Harrah’s role as a developer committed to the restoring the grandeur of Orange County’s capital city. The Register’s printing operations are also going to move. Their new locations will be found on Anaheim’s Lewis Street and the printing plants in Riverside. 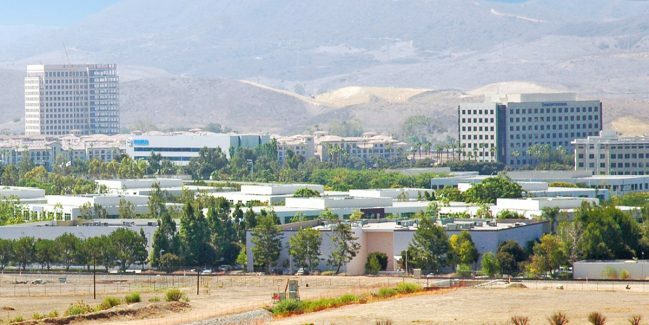 This is an interesting move, and one that will have a significant impact on the overall commercial real estate sector of Orange County. The commercial real estate (CRE) market in Orange County, CA, is incredibly diverse and interesting for many different people. Property investors, for instance, often purchase CRE, either outright or through a commercial real estate investment trust (REIT), in order to earn from the rent of these properties. When the newspaper first started, it was called the Santa Ana Register. It has been located in Santa Ana for 111 years, and specifically on Grand Avenue of Santa Ana since 1957. Here, they leased two floors of the building, which has five stories available in total. The Register has been going through some significant changes. First of all, the office building and parking structure was sold by Freedom Communications, who owned the Register, in 2014 to Mike Harrah. Then the Register had gone bankrupt and was sold at auction just six months ago to Digital First Media. Digital First Media’s acquisition of the Register and The Press-Enterprise in Riverside creates a mammoth new player in Southern California media and represents a strategic business reset for the company, one of the nation’s largest newspaper chains. One of the first things Digital First Media did after the acquisition, however, was to sell off what remained of the property in Santa Ana. Specifically, this was composed of a nearby vacant lot and the printing press facility. Towards the end of March 2016, both were sold to Mike Harrah who, by then, owned the entire property. It is believed that Mike Harrah is currently taking part in negotiations to develop the site at Grand Avenue. While details haven’t been released yet, there are rumors that he is looking at building residential units, shopping units, a hotel, and office towers. This means that there would be a significant development in commercial real estate for Santa Ana, which is likely to gather a lot of interest. 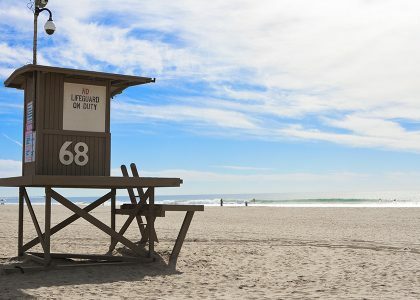 Meanwhile, the Register, its daily newspaper and its associated website, will be found in their new location, from where they will continue to operate as one of eleven of its kind in Southern California. Is A Shared Lease A Good Idea, Or Should You Opt For Exclusive Use? 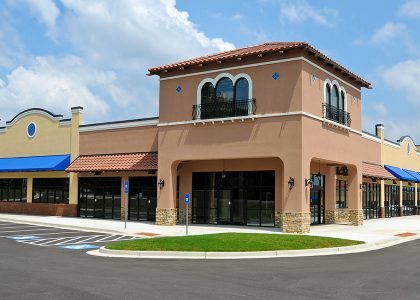 Is Owning Commercial Real Estate Bad For Business?